One of the best perks of our job? Getting to see lots of creative ideas. LOTS. We get a peek at what’s going on at clubs and campuses all over. 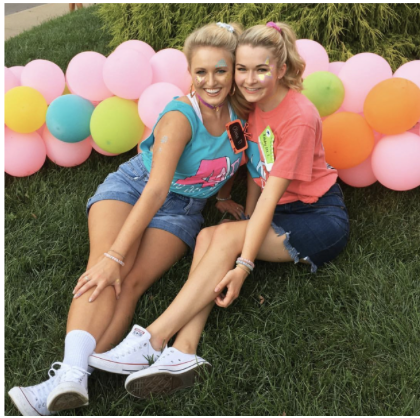 With Bid Day a heartbeat away, we’re letting you in on some of the best themes we’ve seen. Inspo for your party, food, playlist and look. We came to play. Here’s your game day plan. Gear up (spirit wear! ), get your game face on (smile! ), and just watch how this new team comes together. Music? We got your covered! You’re the VJ. 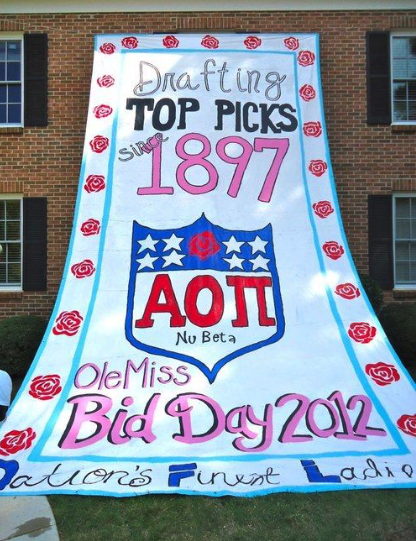 Make bid day a Total Request Live star turn. Big hair meets boombox meets breakdance. Awesome, gal pal. Music? We got you covered. Hello, sunshine. 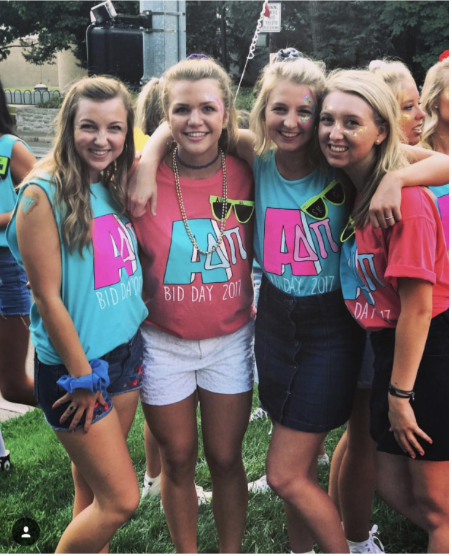 Bid day’s a beach…party! 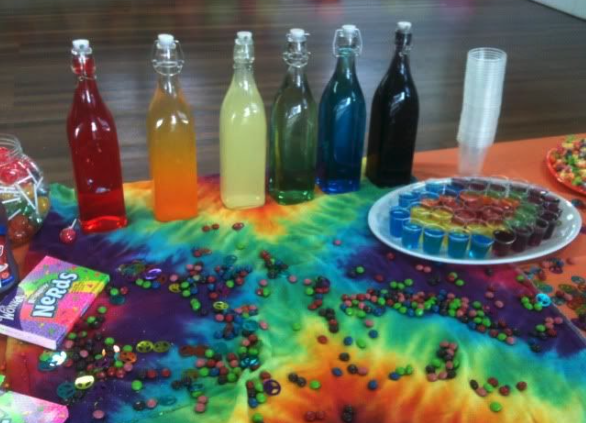 Heat things up with bright colors, sip something sweet, and crank up the tunes. Red, White and True. Today’s the day to show your colors. 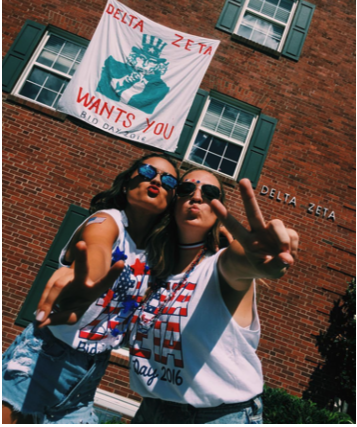 From food to flags it’s time to celebrate the stars, stripes and sisterhood. Flashback to Bayside. Crop tops and flannels, overalls and scrunchies in your hair. Smells like teen spirit, right? You’ll be totally bangin’ the party to the Max. Flower-powered party. You’ll be oh-so boho topped with flower crowns. Teepees, dreamcatchers, and festival food set the mood – relaxed or rave.